Chicago Humanities Festival cometh. Grab a date. Most important thing you can bring to a date: meaningful conversation. The easiest way to do that is to make the whole evening a conversation-starter. Good news: that’s why the Chicago Humanities Festival exists. Tickets go on sale today. 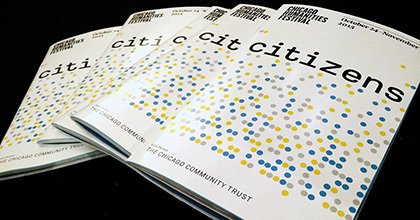 On hand: 130+ talks and discussions across the city exploring the theme of “Citizens,” from scholars and thinkers like Salman Rushdie and Elvis Costello. We suggest making a night of it with your favorite +1. Here be your plan. 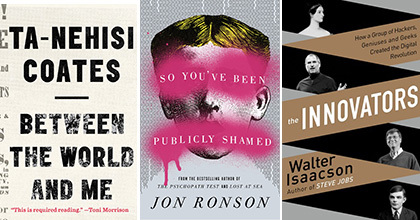 Get a jump on your fall reading list by perusing the complete catalog here. Among the events already mentioned, a few more that’ll inspire some engaging tête-à-tête: Patton Oswalt chatting about his love of cinema. Paul Magee, who just sold half of Lagunitas to Heineken, discussing the politics of beer. House of Cards senior story editor Laura Eason talking women and culture, and Elvis Costello explaining how black-rimmed glasses just really suit him. Wherever you end up, your subsequent game plan must involve a relaxed, slow-paced locale. Not too much distraction or noise. The newly-rebooted Cafe Spiaggia is the perfect spot for moments akin. 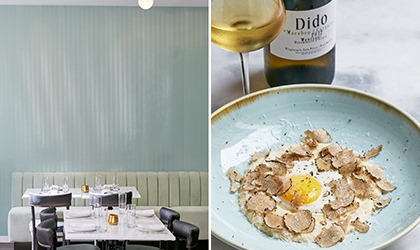 The dress is casual, the eats elevated Italian (the new menu is here). Order up a bottle of wine and settle into the Lobster Pasta for two. Reservations not necessary, but highly recommended.